A basis for the pattern is the Nora dress from Burda Style site; actually, the military jacket I made few years ago using the same pattern. 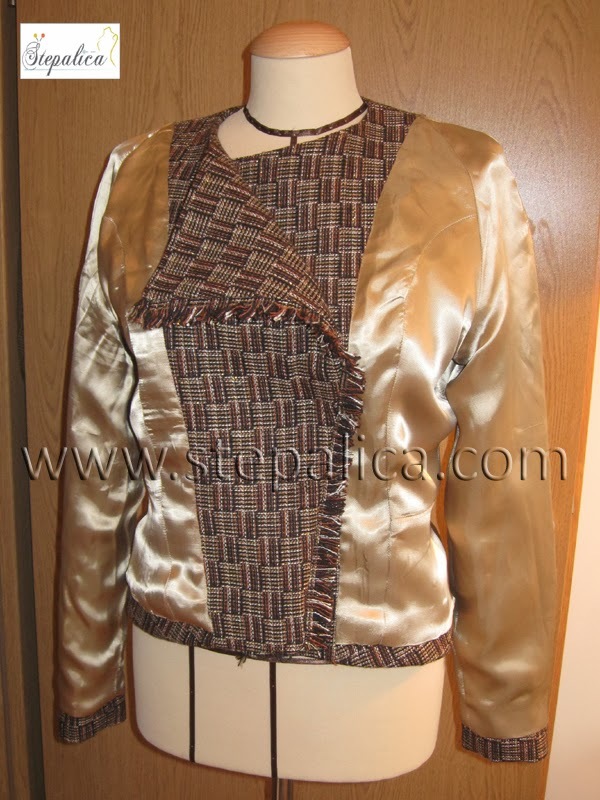 Since the military jacket had ranglan sleeves and a peplum, it was a perfect pattern as a starting point - I only had to alter the front panels. 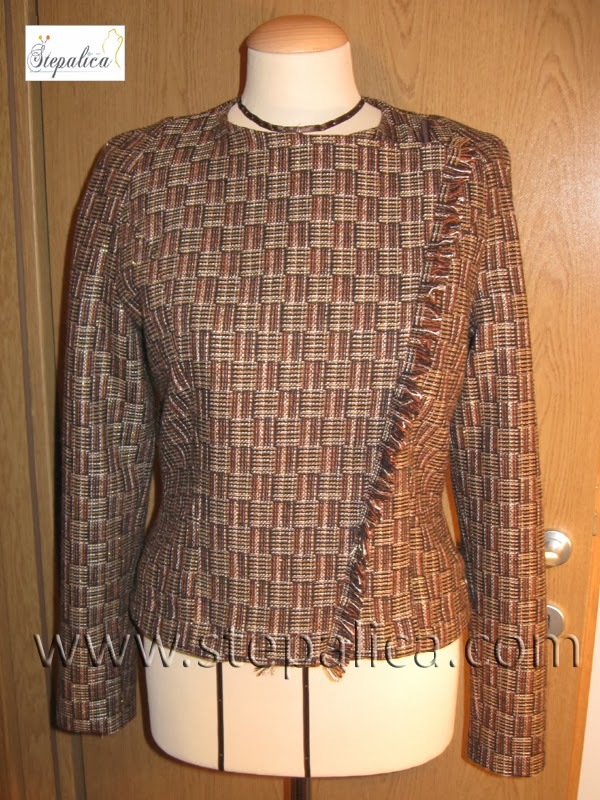 Instead of using a traditional Chanel braid as a trim, I decided to add fringe - this way, the trim is visible not only when the jacket is closed, but also when the flap is opened forming over-sized lapels. Due to the zipper closure, the jacket looks rather casual and youthful, so I don't feel dressed too formally or mature while wearing it. Just the right thing for me! 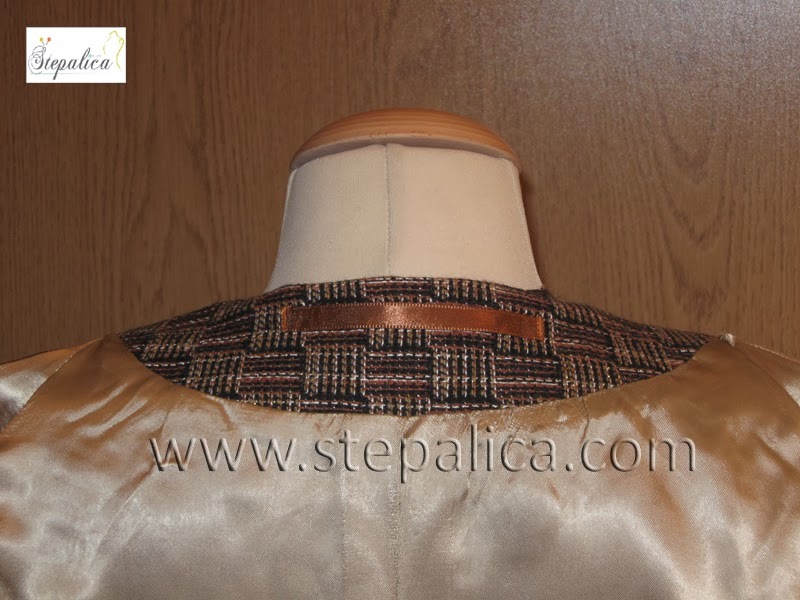 Here are some pics of the lining. Thanks Katie! 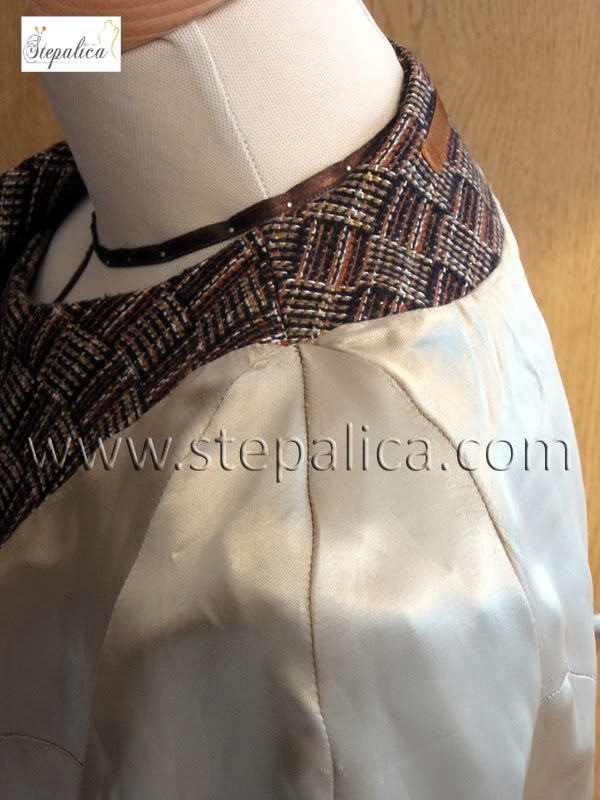 The best thing about it is that it's rather simple for construction - with ranglan sleeves that are easy to set in and no collar, the sewing is rather straight forward. 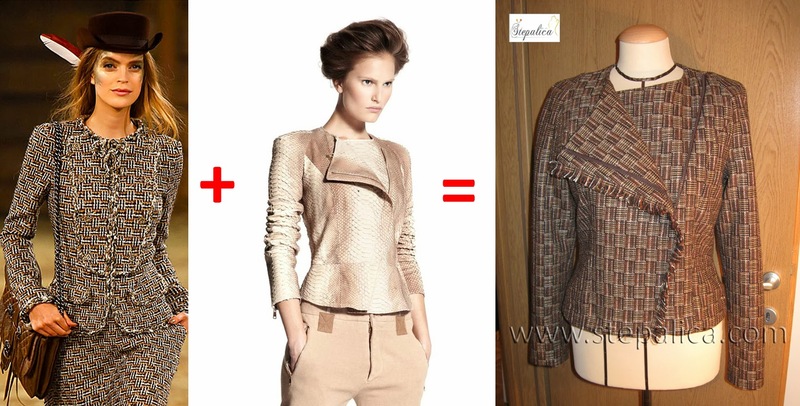 On the other side, the fringe, the zipper closure and the oversized lapels make the jacket really eye-cathching. Fabulous jacket. 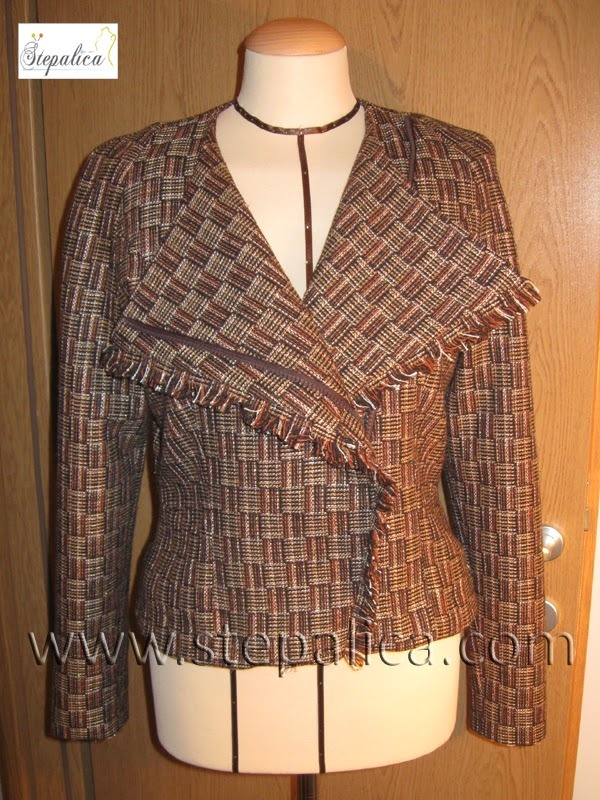 The fabric is perfect for this jacket and the fringing finishes it so well. Love it!!! I love how you combined the more "Chanel" fabric with the McQueen design. Our imaginations can take such flights, can't they? Yours pulled off a wonderful jacket! Oh yes, the imagination can make wonders happen! Thanks for the nice comment Bunny! Love the marriage of ideas. Beautiful jacket! I always enjoy reading about the inspiration for the wonderful garments you sew. Your jacket is lovely and unique. It also made me think of the picture I saved to my inspiration folder today. 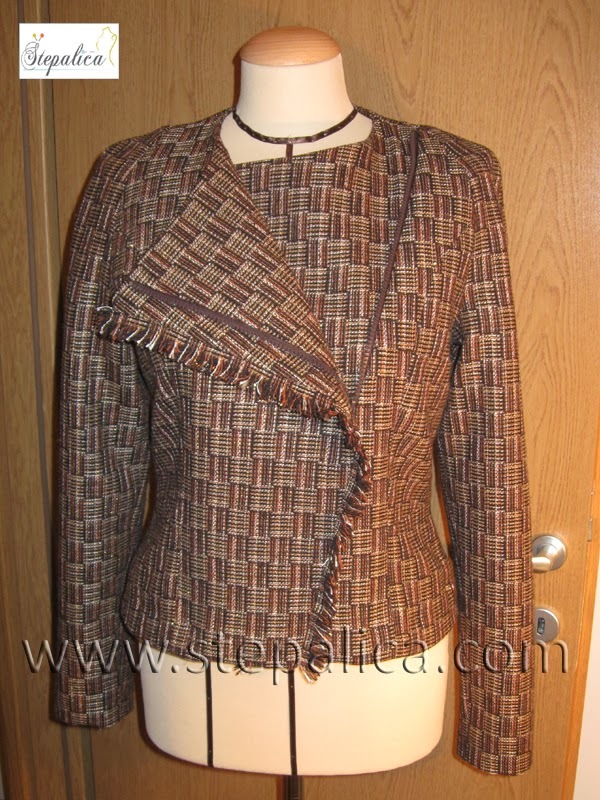 It was of a jacket with a woven fabric and fringe on the front and lapels, like your jacket, combined with leather sleeves. It could be another combination from your inspiration photos. Oh, I think it would look great that way too! 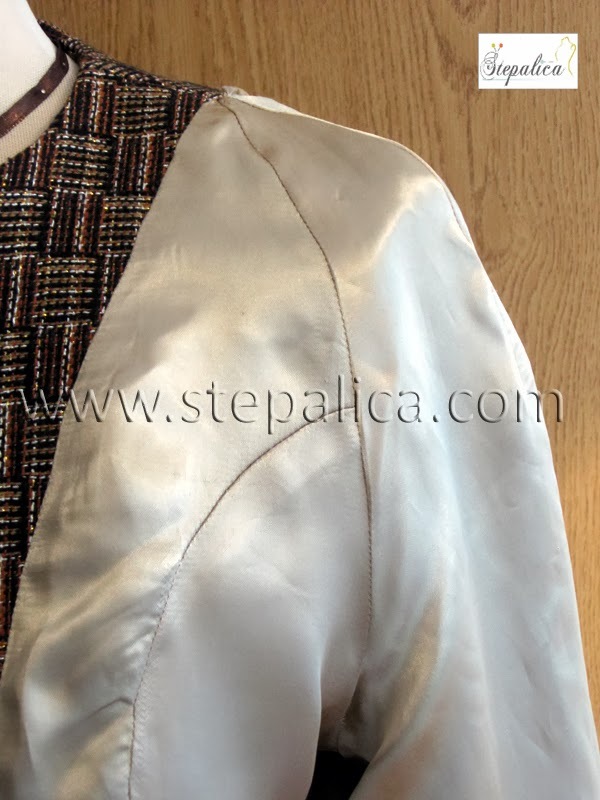 Before I made the jacket, I thought of combining the fake leather I mentioned in the post with a velour I have. The color combo would be interesting, but somewhat challenging - gold and light olive (with yellow undertones). I was afraid it would bee too much so I gave up on the idea.